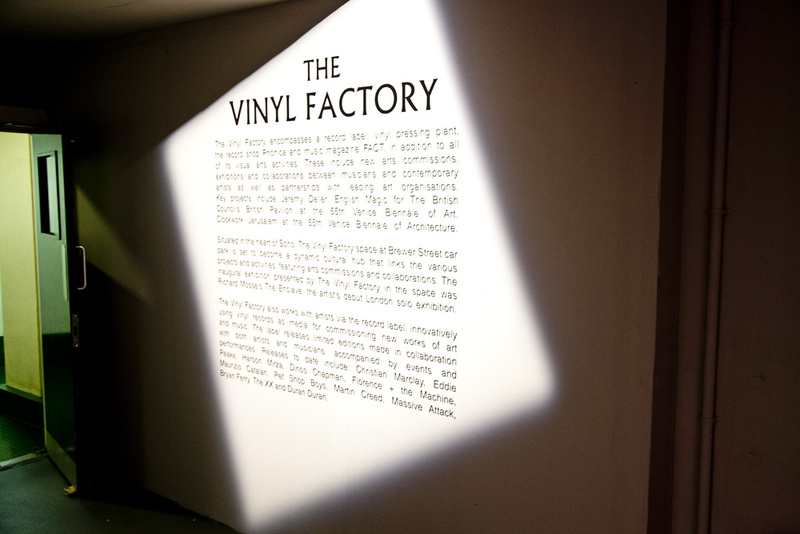 Brewer Street Car Park has long been recognised as an iconic building in the heart of London but now it's fast becoming Soho's most dynamic creative space - home to a public programme of audio-visual shows, events and installations curated by The Vinyl Factory. 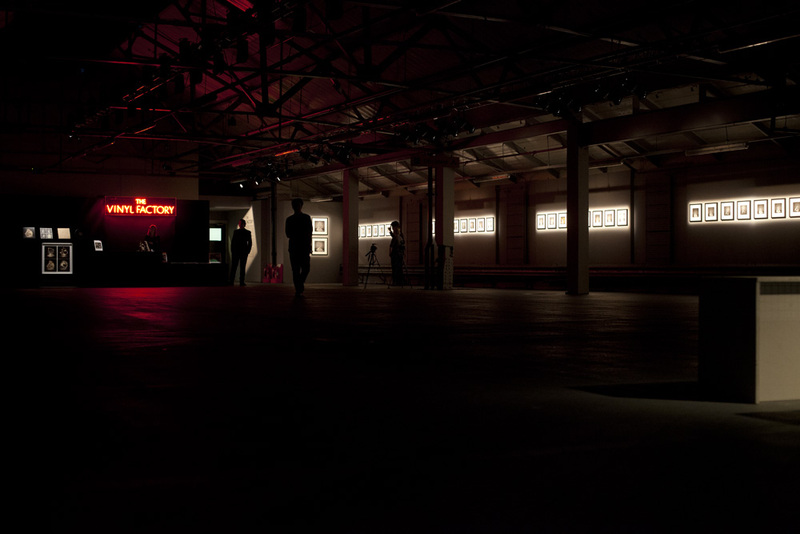 Presented in partnership with The Vinyl Factory at Brewer Street Car Park, Frieze Music 2015 marked the first large-scale audio-visual installation and performance by 18+ in London. 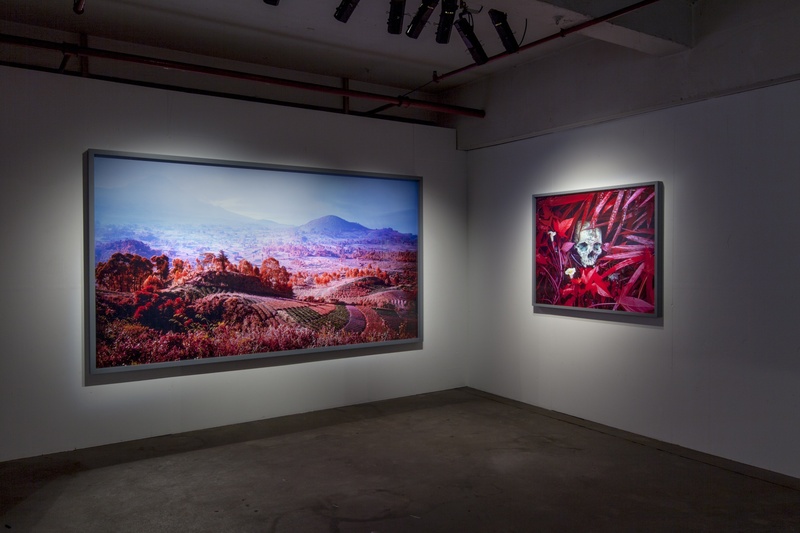 A collaborative project founded in 2011 by Justin Swinburne and Samia Mirza, the duo initially operated in online anonymity continually redefining their perceived identities through a nebulous output of audio, video, images and social media profiles. 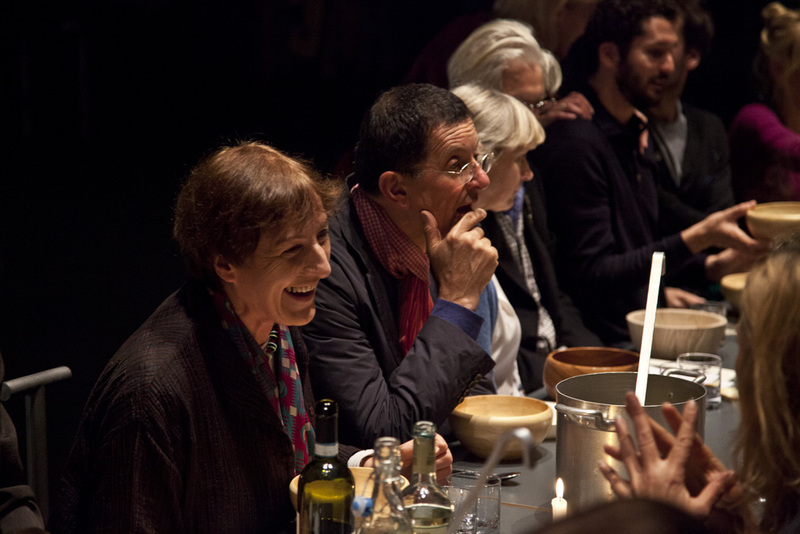 18+ have performed and exhibited at the Venice Art Biennale 2013, Artists Space (New York), Fundación Jumex (Mexico City) and Berghain (Berlin). 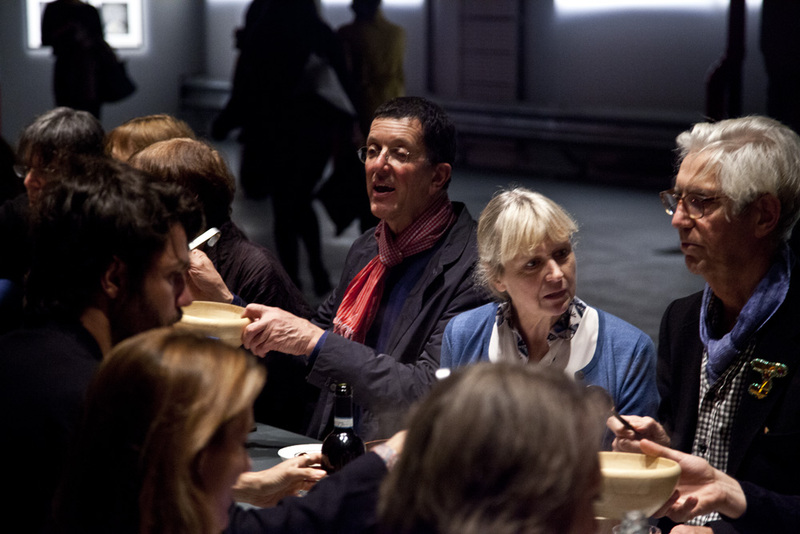 This October early works by legendary video artist Bill Viola will form The Talking Drum, an immersive installation at Brewer Street Car Park. 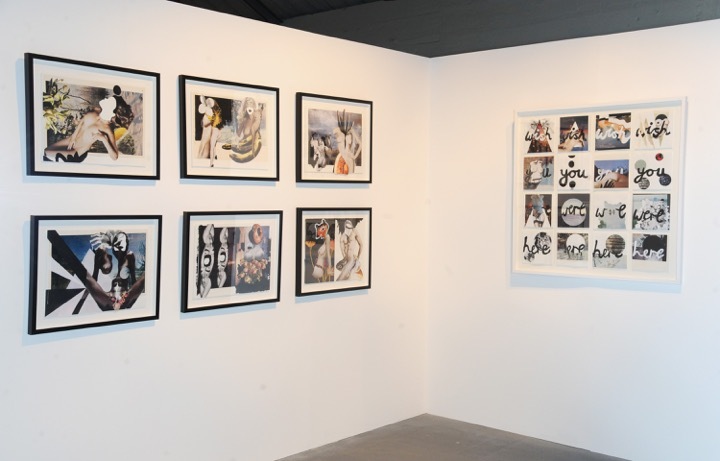 The exhibition illustrates Viola’s boundless experimentation with the newest media of the time, which paved the way for subsequent generations of artists working with video, sound and computer technology. 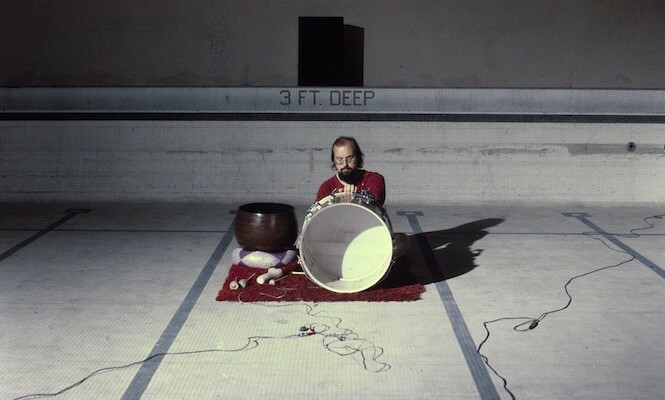 Never previously exhibited, two works are featured, The Talking Drum and Hornpipes, that are sonic manifestations of Viola’s work with physical presence and a logical development following his early experiments with audio. 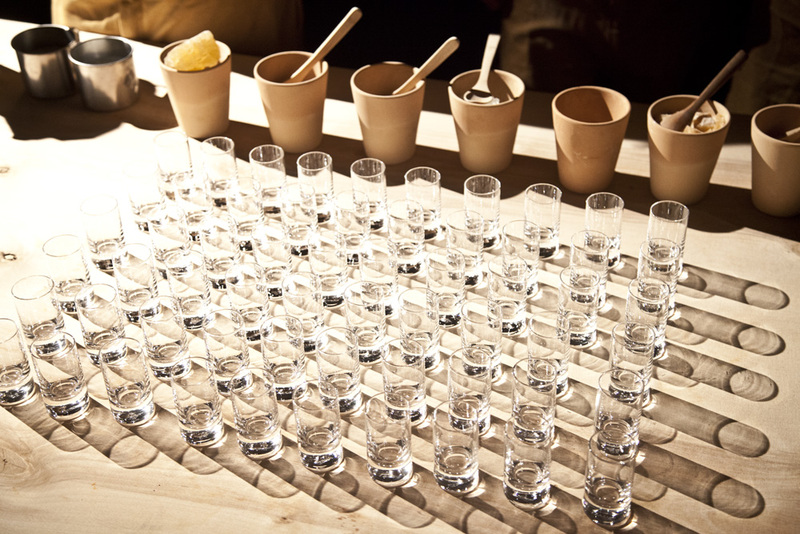 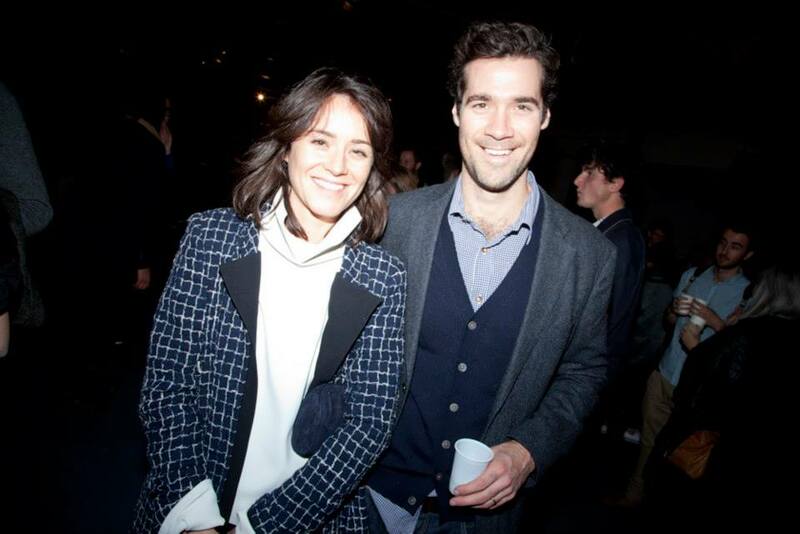 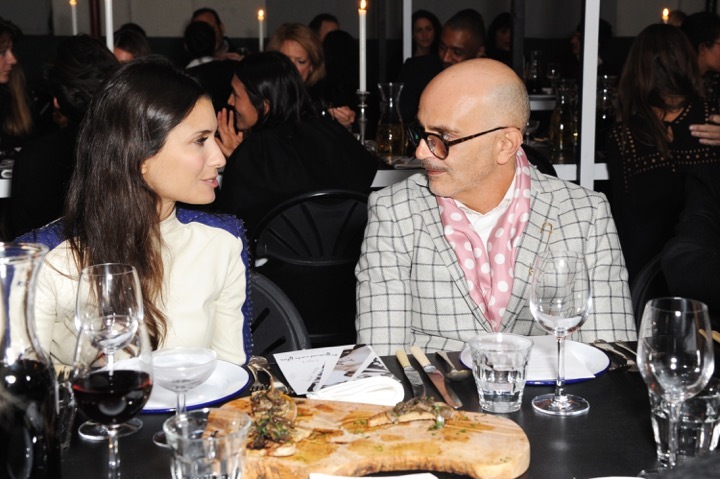 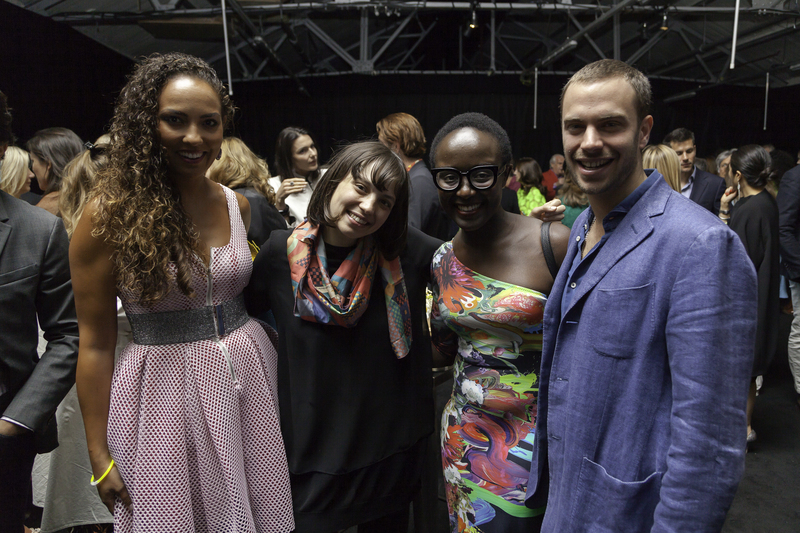 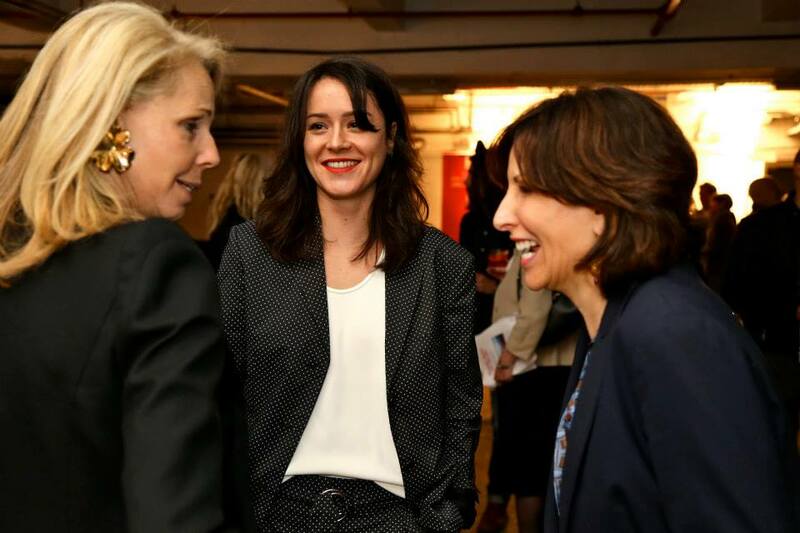 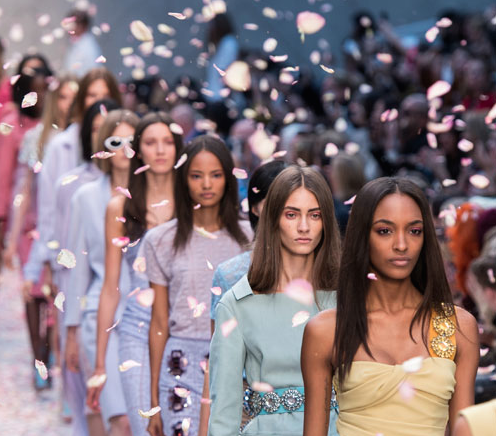 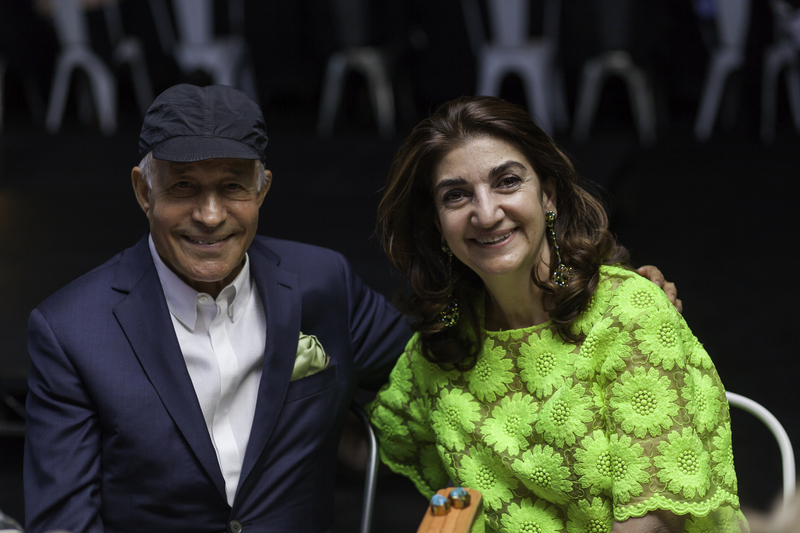 This September the 62nd edition of London Fashion Week, a global highlight on the international fashion calendar, moves to Brewer Street Car Park. 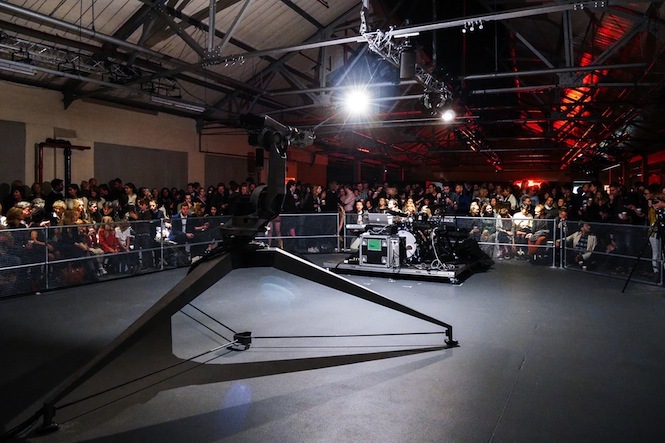 Spanning two floors, the new central LFW venue will play host to some of the world’s most exciting designer catwalk shows in the BFC Show Space and the Designer Showrooms where over 100 designers will exhibit their collections. 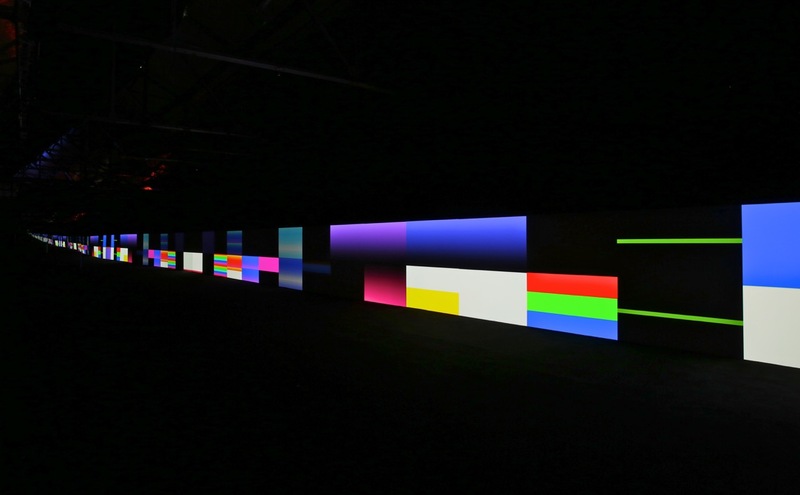 German artist/musician's Carsten Nicolai’s practice investigates the boundaries between visual and audio art forms within an integrated artistic approach. 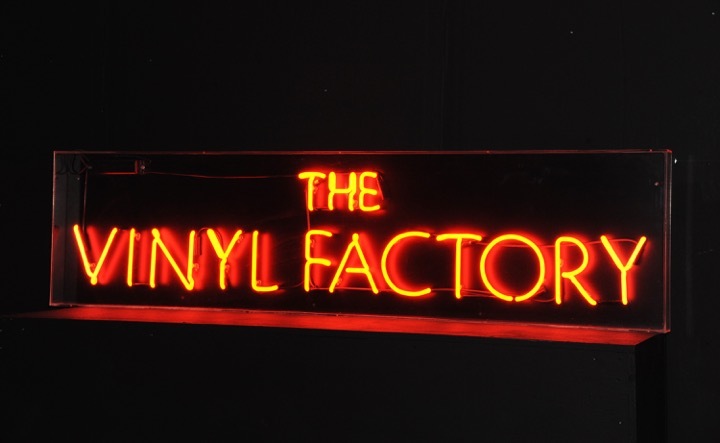 The Vinyl Factory is proud to present the European premiere of unicolor, Nicolai's ingenious examination the psychology of colour perception. 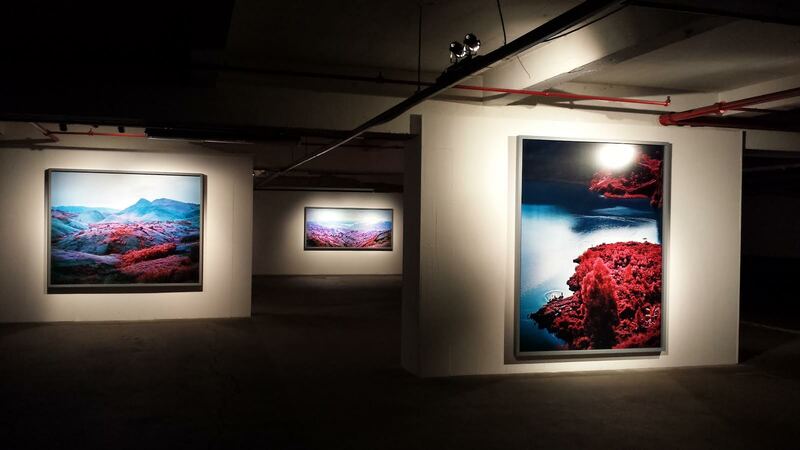 Submerged in panoramic wavelengths of blue, red, green and grey that grow, evaporate and meld into one another, the viewer is confronted with an infinite, visceral expanse of colour and sound. 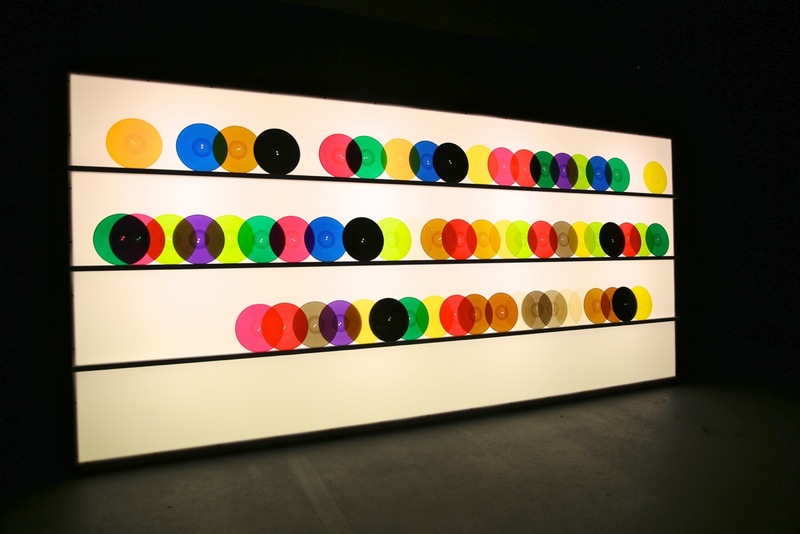 Also presented in a new version of bausatz noto (1998) featuring 12 vinyl records pressed in 12 unique colours. 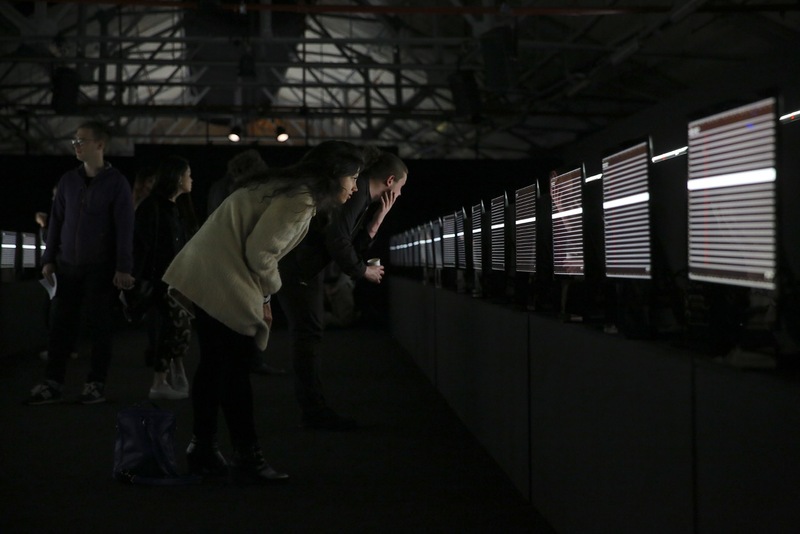 Japan's leading electronic composer and visual artist, Ryoji Ikeda orchestrates sound, visual materials, physical phenomena and mathematical notions into live performances and installations. 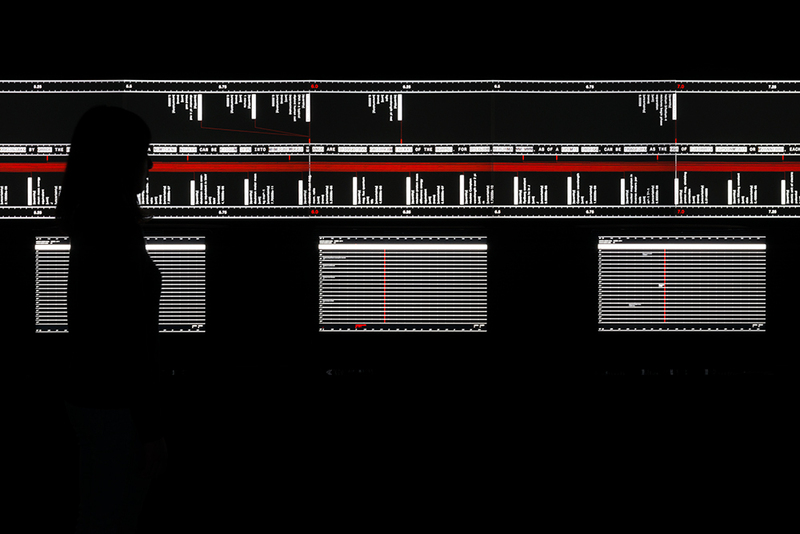 Supersymmetry is an immersive, disorientating installation of colliding, mutating, sound, text and visual data, utilising forty projectors and computers. 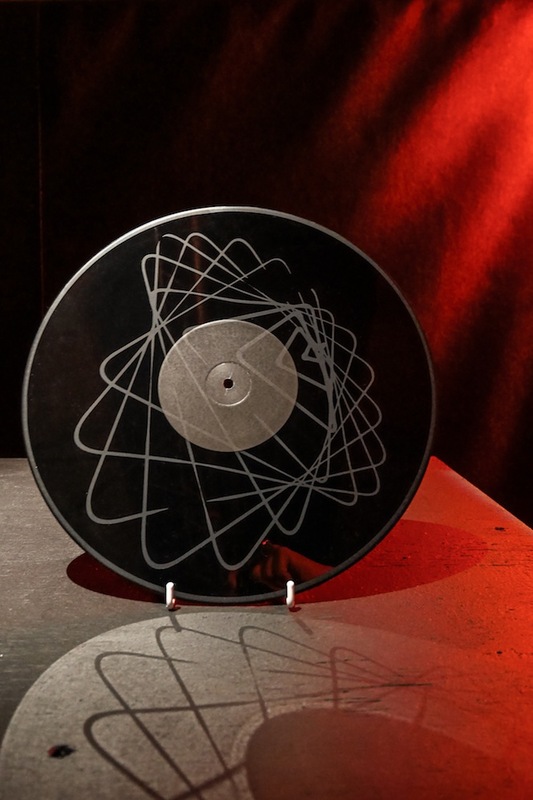 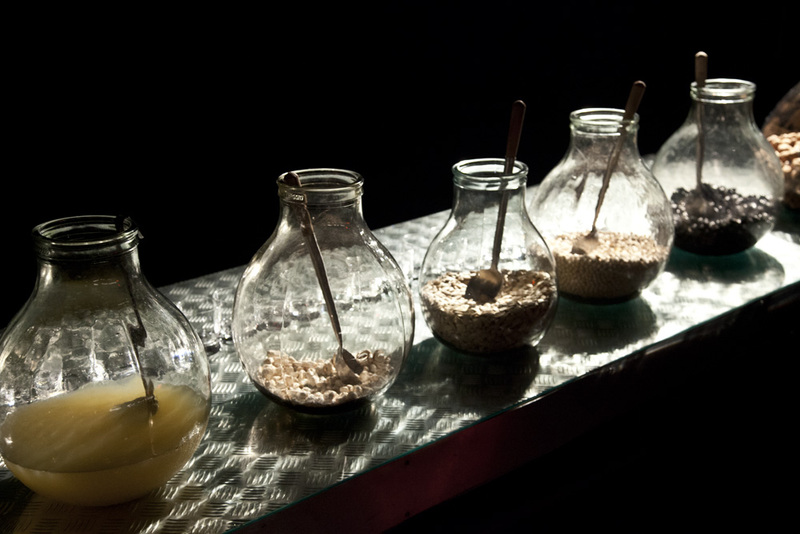 An intense exploration of the intersections between music and visual art through mathematics, quantum mechanics and logic, the work draws on Ikeda's residency at Centre For Nuclear Research (CERN). 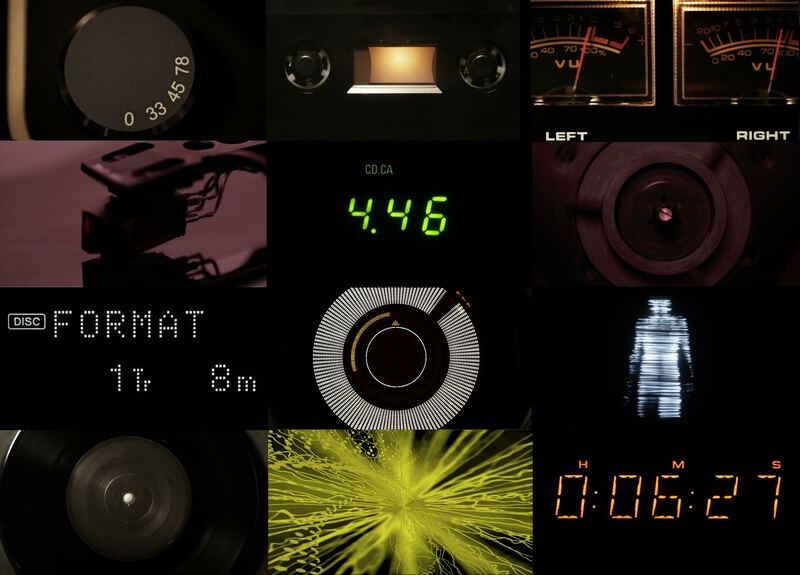 This February, acclaimed music producer and artist Trevor Jackson will release F O R M A T, a new album that celebrates physical music with each of the 12-tracks released on a different format. 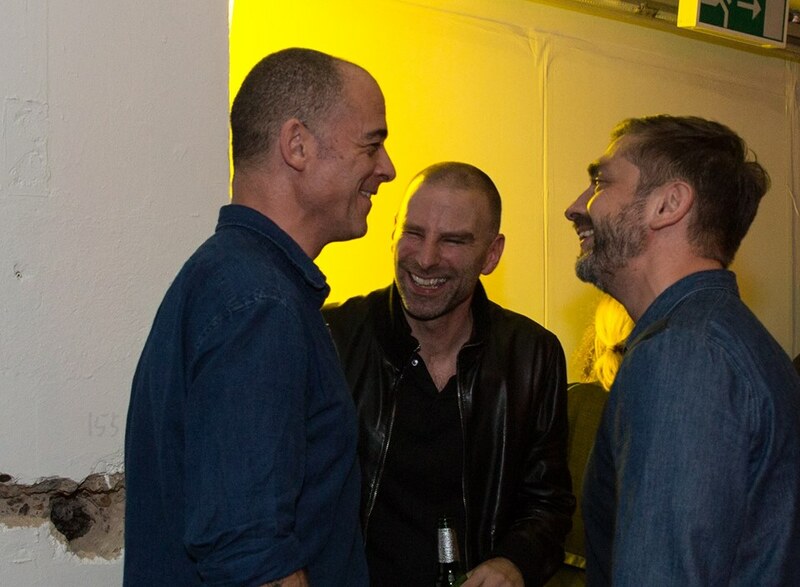 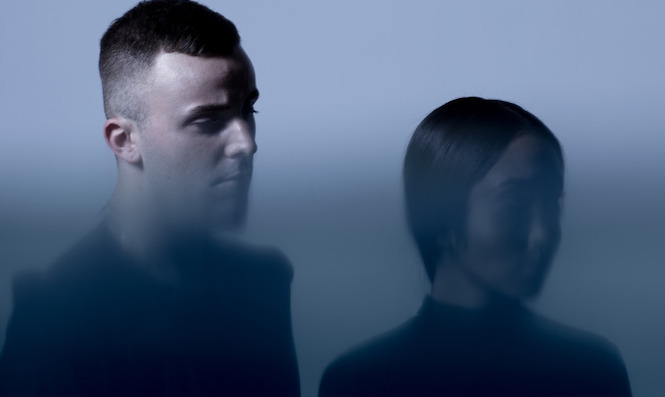 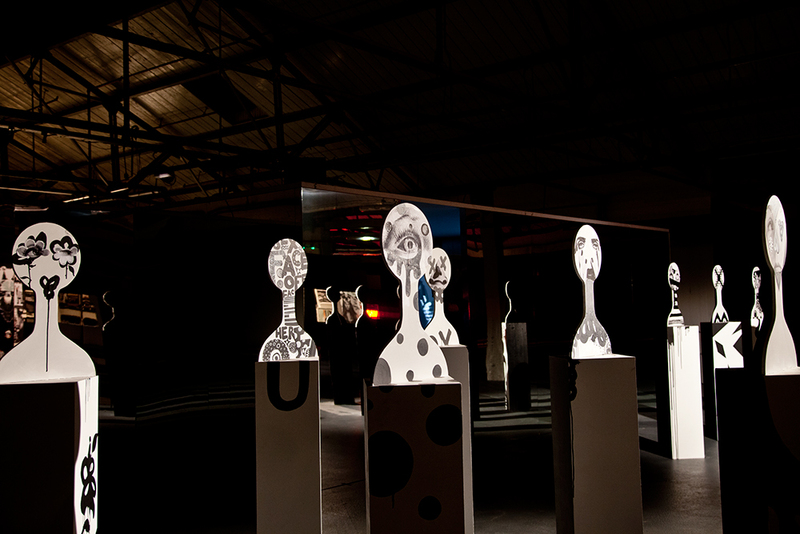 This accompanying exhibition offers people the first chance to listen to the album in full and experience a new audio-visual artwork by Jackson. 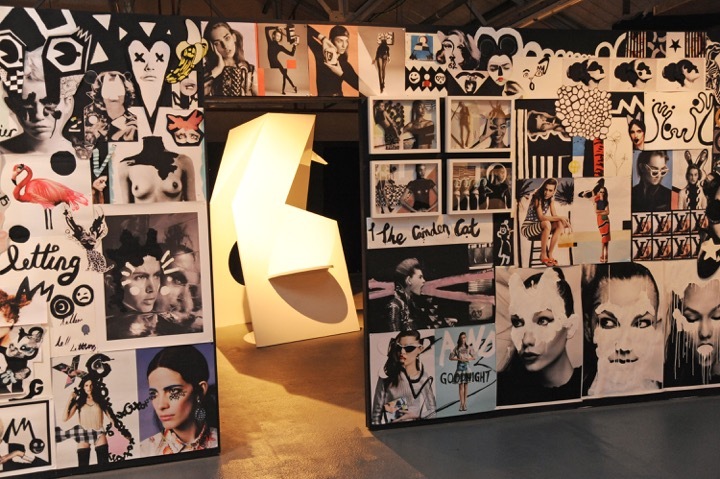 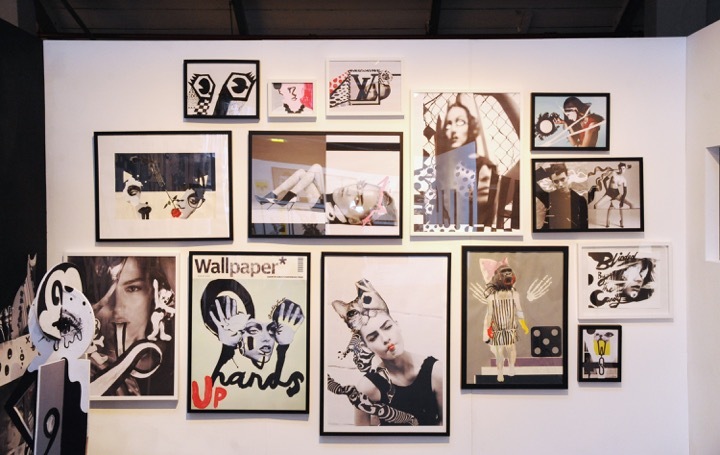 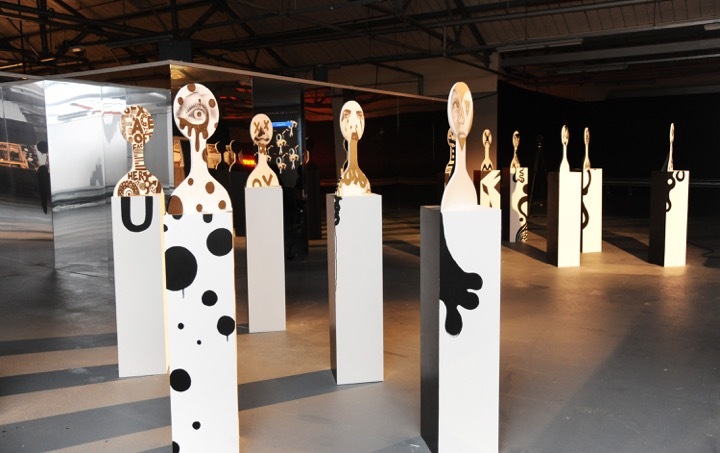 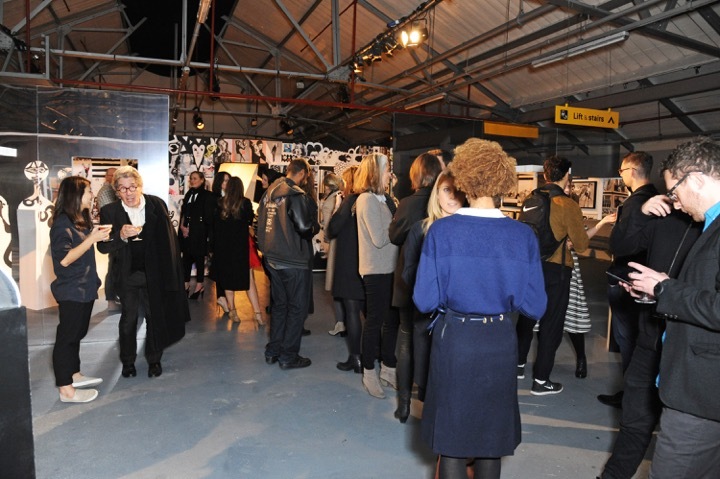 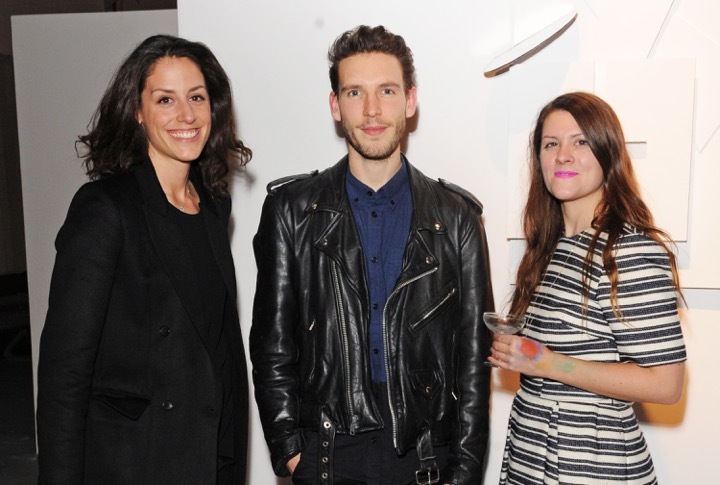 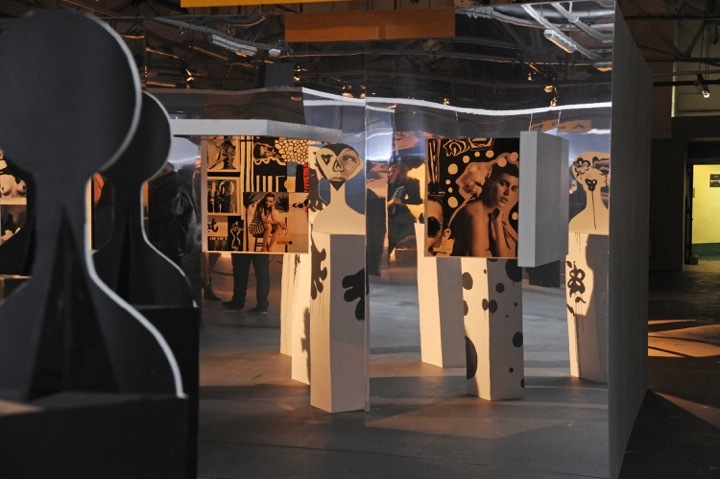 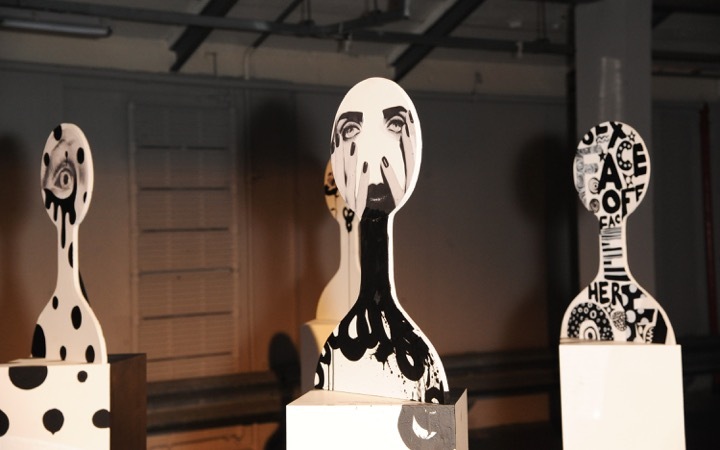 In November 2014, The Vinyl Factory presented a site-specific survey of works by London-based multi-media artist and fashion illustrator Quentin Jones at the Brewer Street Car Park. 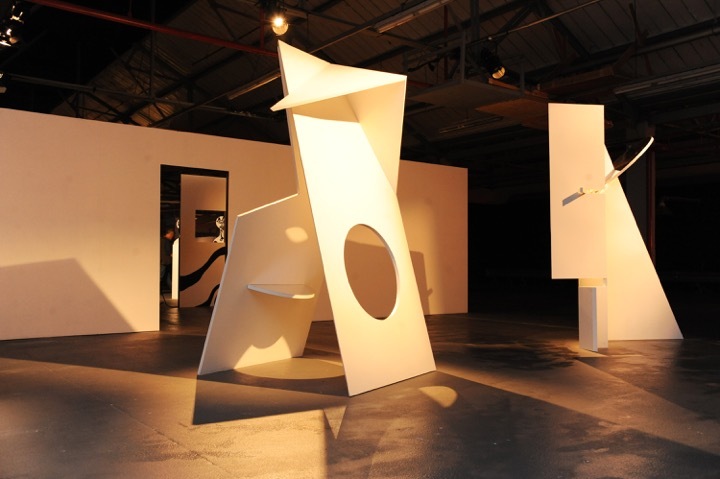 The show was produced in collaboration with innovative spatial designer Robert Storey, who created a unique set space for each collection of Jones' work - the separate areas were then connected through the use of light and positive and negative space within the walls. 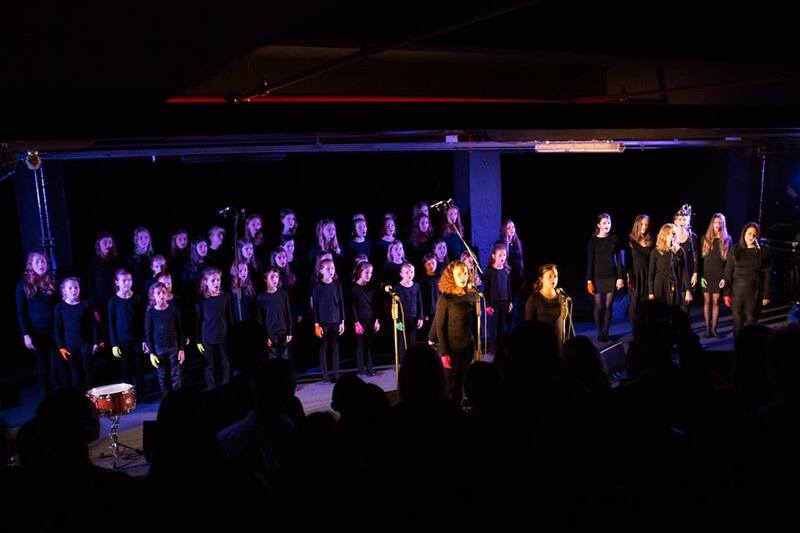 London’s Capital Children's Choir are famed for their brilliant cover versions of Florence + the Machine, Lady Gaga and Spiritualized, beloved by the original artists - and they performed these with a full live band in the basement of the Brewer Street Car Park to celebrate their new record - Bobby Gillespie, Dinos Chapman, Kate Moss and more were there to witness it. 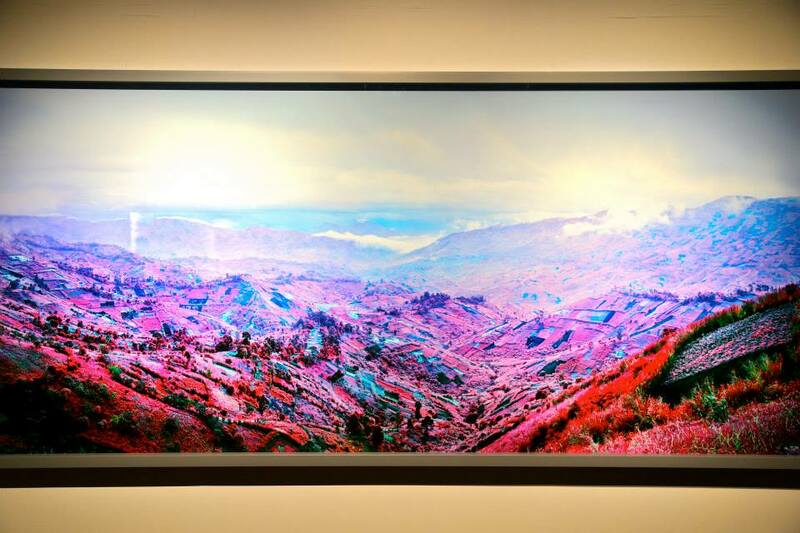 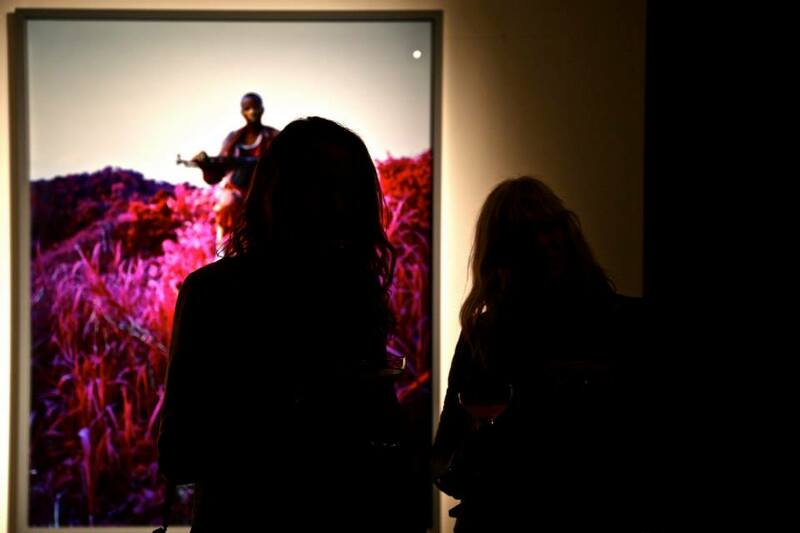 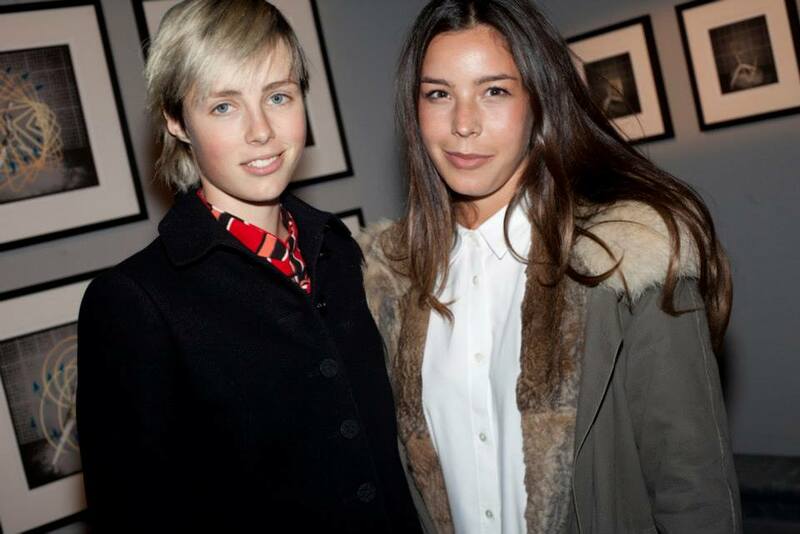 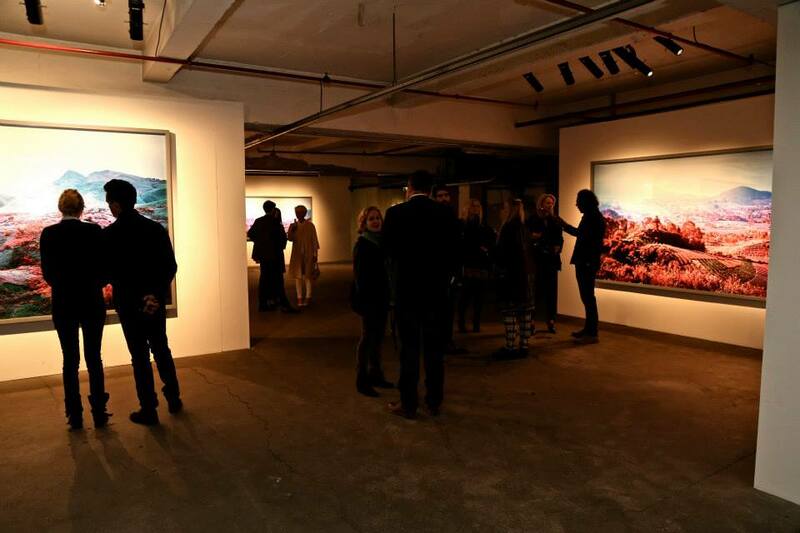 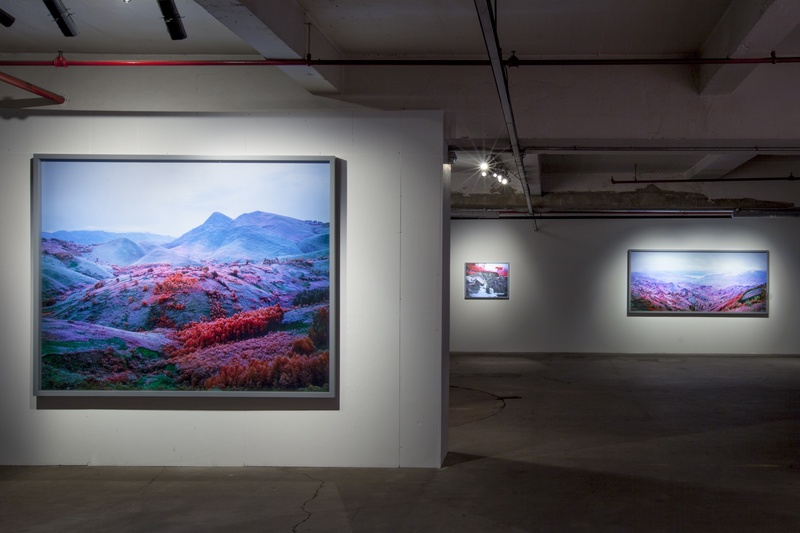 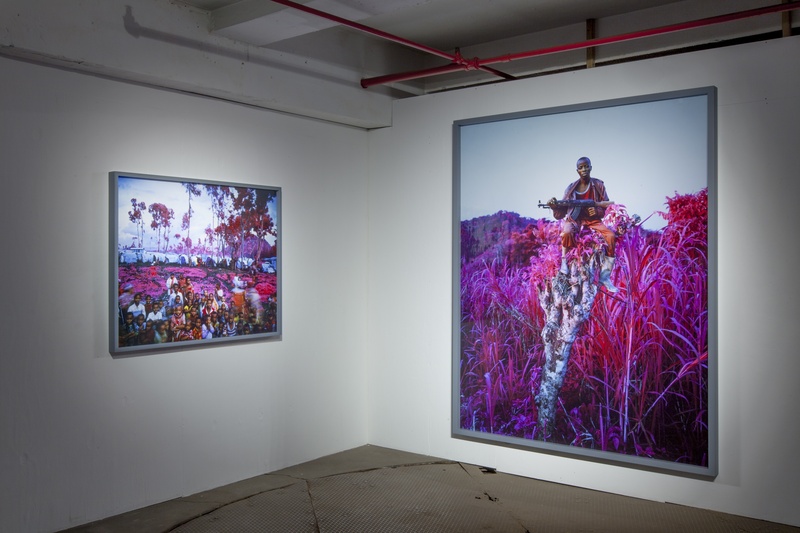 The Vinyl Factory presented Richard Mosse’s debut London solo exhibition, The Enclave, at the Brewer Street Car Park in April 2014. 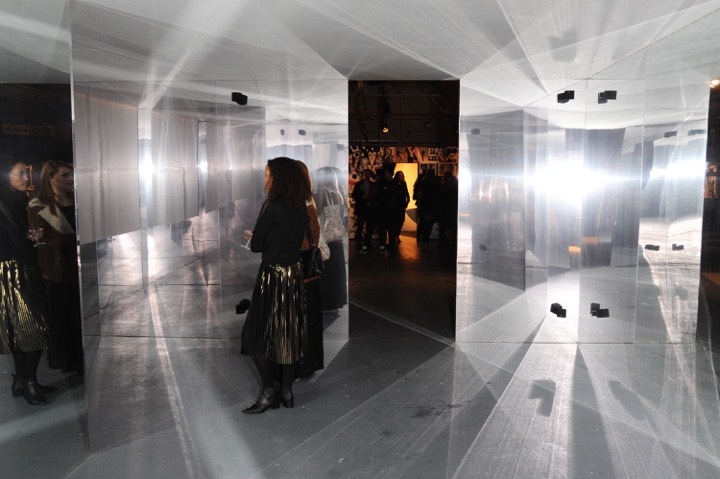 A multichannel video installation that was originally commissioned for the Irish Pavilion at the 55th Venice Biennale, the show was attended by over 5000 people. 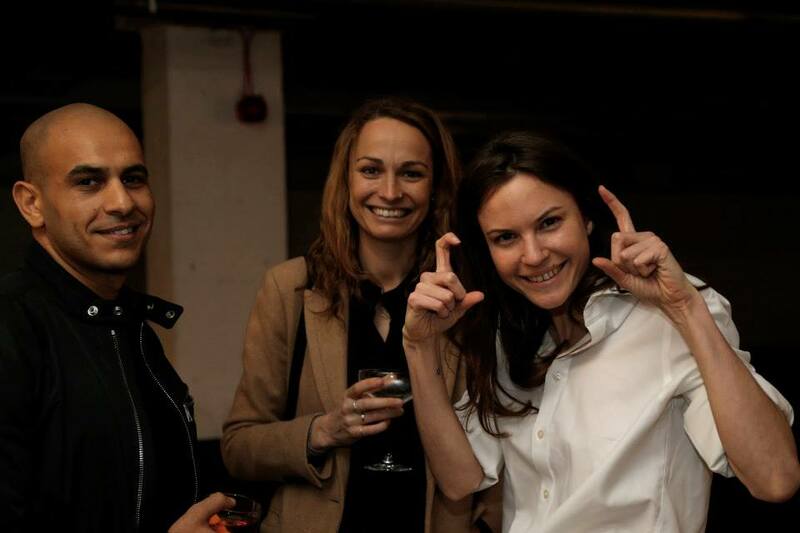 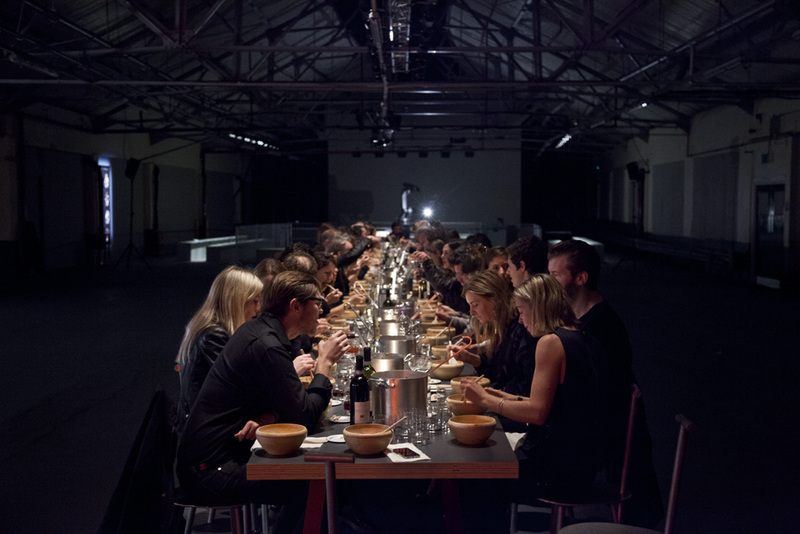 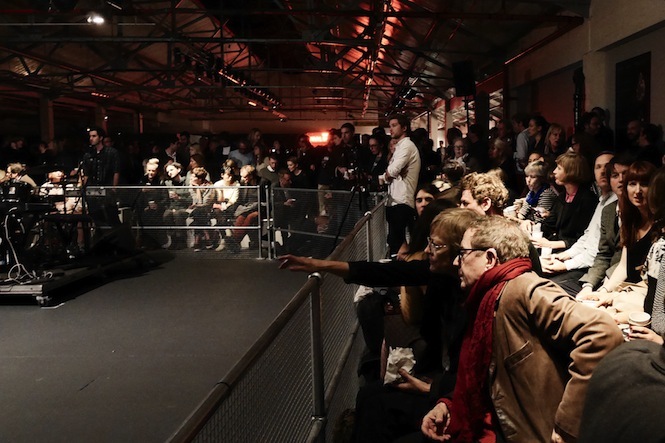 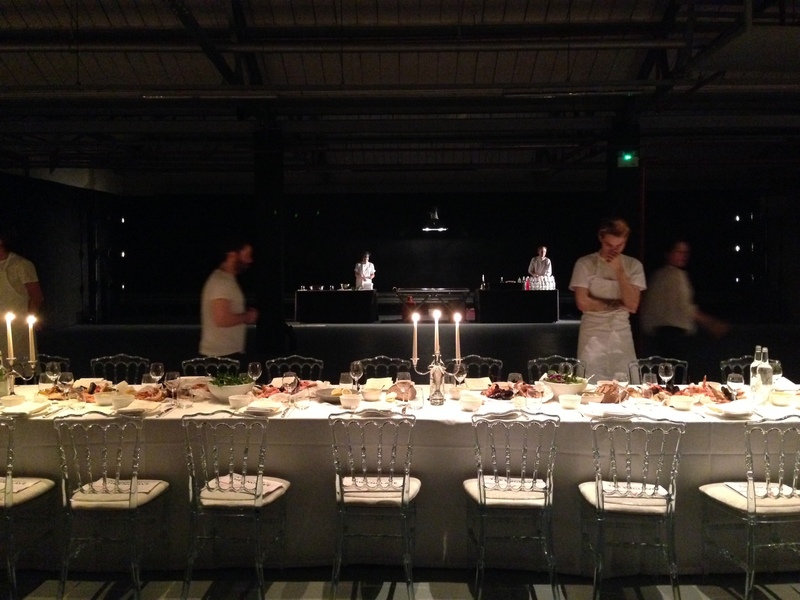 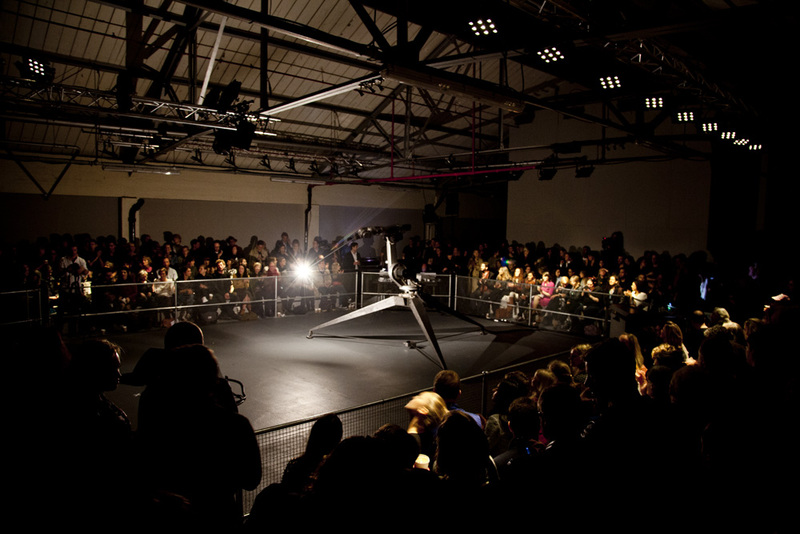 Acclaimed British artist Conrad Shawcross brought his incredible Ada Salon to the Brewer Street Car Park in October 2014, creating a month long series of live performances, talks and dinners inspired by the responses of four female musicians to the movements of an industrial robot, hacked and programmed by the artist to create four unique choreographies. "Carsten Nicolai's unicolor is simply beautiful. 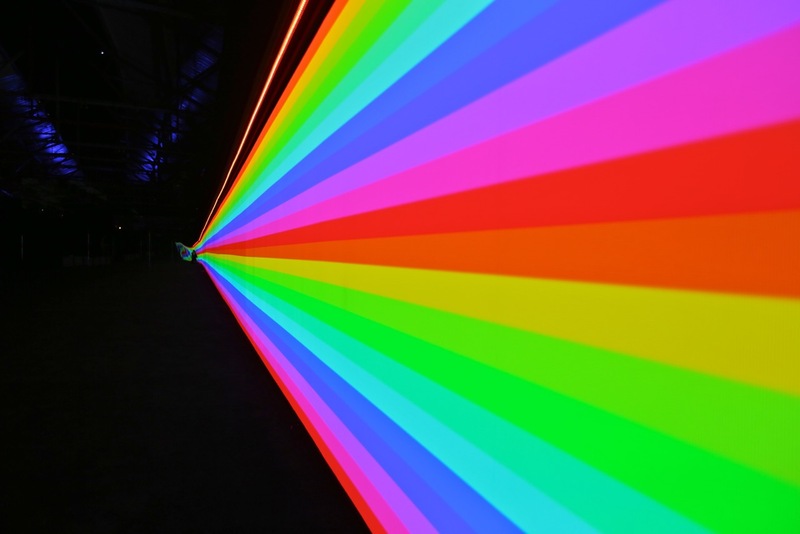 Between the head rush of glitched-out audio and the intoxicating purity of light and colour, it's a little like drifting through all the individual components of a rainbow." 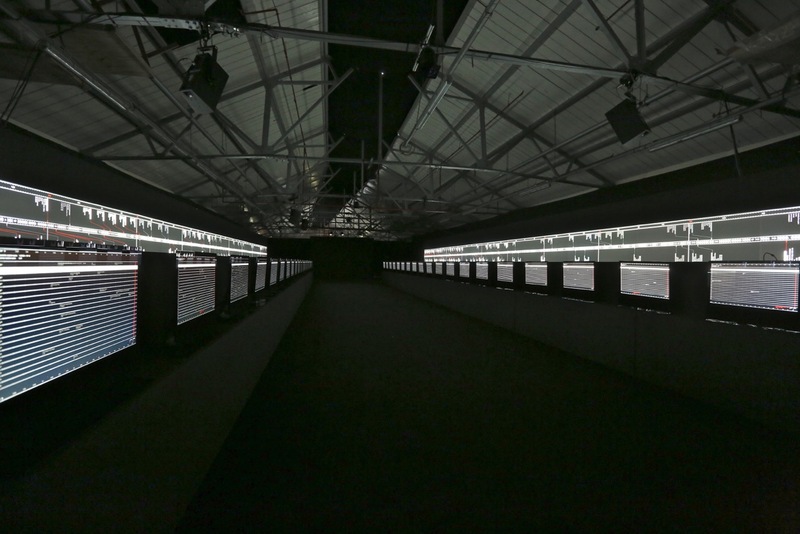 "Made up of 40 computers synchronised with projectors and loudspeakers, Ryoji Ikeda's supersymmetry creates a powerful and immersive experience." 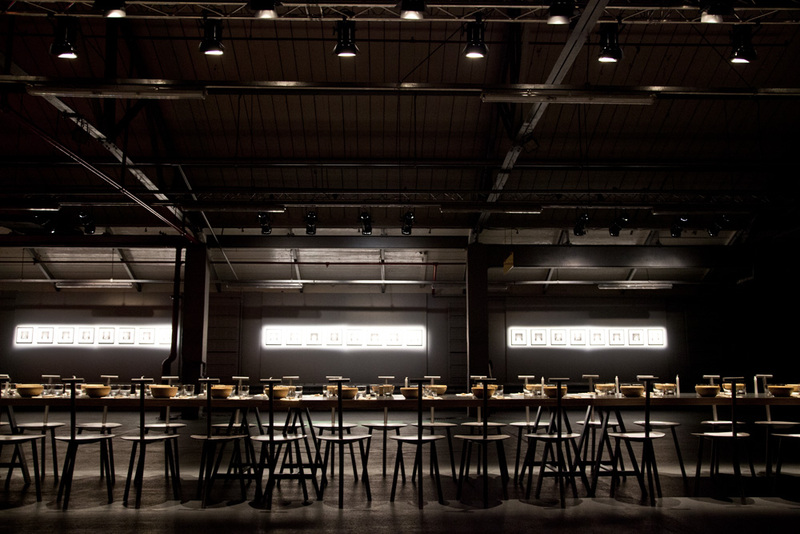 "The car park is being reinvented. 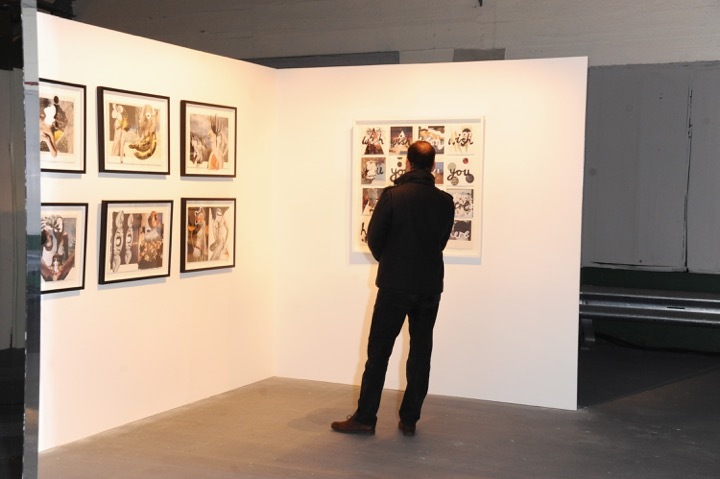 And art is at the forefront. 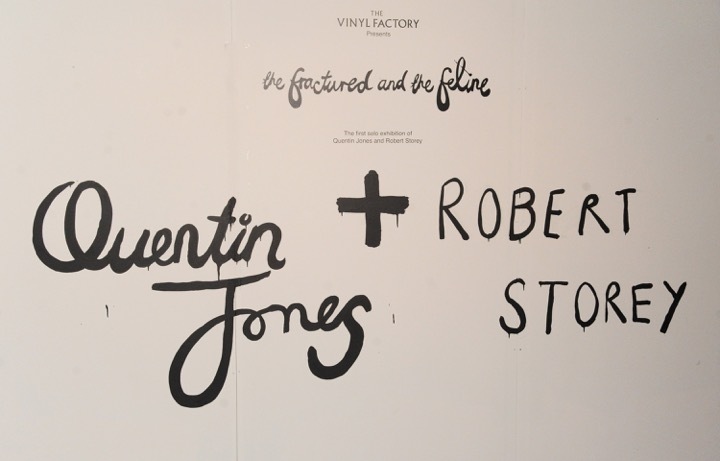 We are turning multi-storeys into galleries, flipping parking spaces into cool living spaces, and re-appraising parking architecture - The Vinyl Factory has set up a gallery inside Brewer Street Car Park in Soho, hosting work by Quentin Jones and Robert Storey." 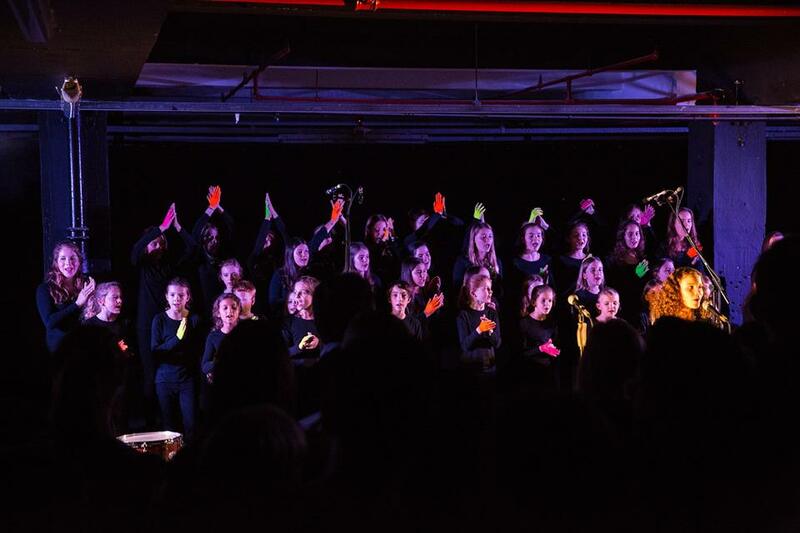 "If you're the progeny of rock'n'roll royalty, you don't hold your local choir concert in any old school hall. 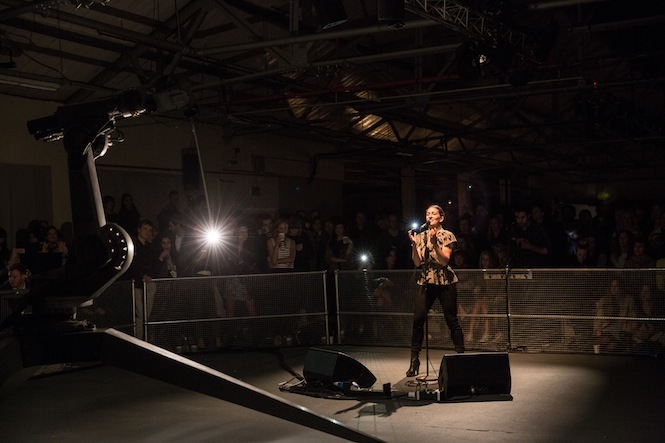 You take over the basement of a car park in Soho, invite Florence Welch and Crystal Castles to lend you some songs, and get Dinos Chapman to play a banging set afterwards. 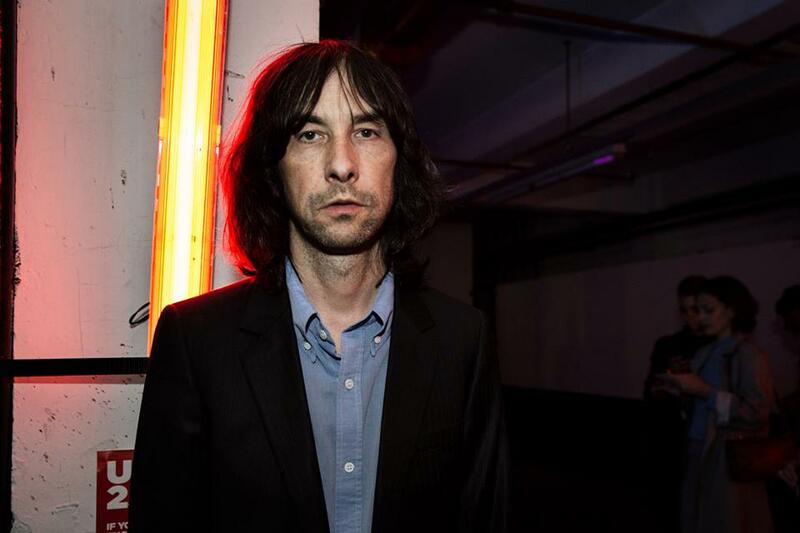 Such was the case with the Capital Children's Choir, who boast members of Bobby Gillespie and Kate Moss's families among their number." 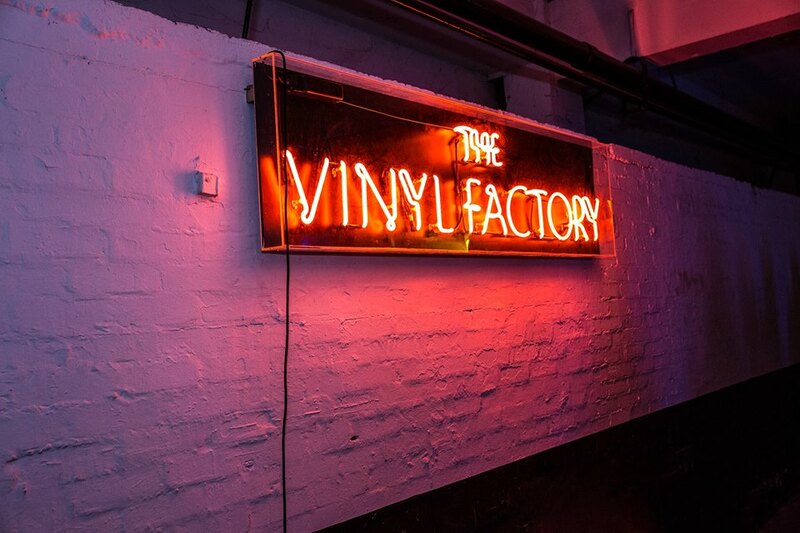 "The Vinyl Factory Space at the Brewer Street Car Park in Soho has become a go-to venue for artists putting on performance pieces. 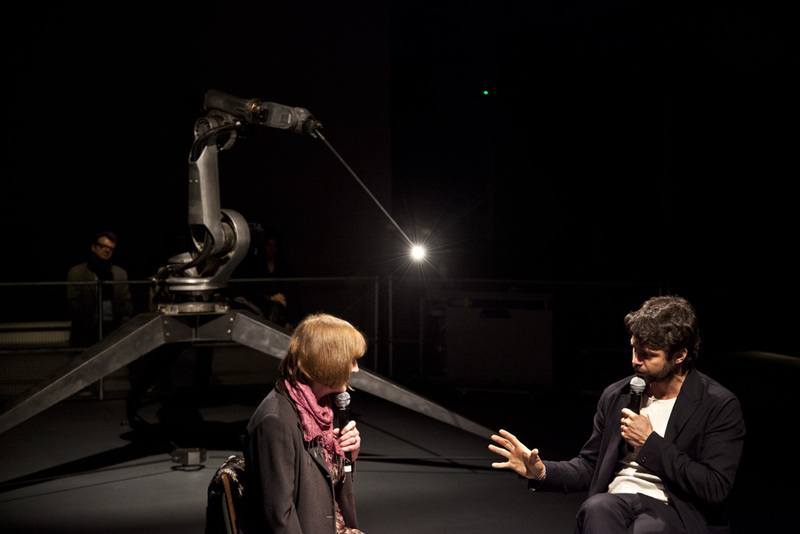 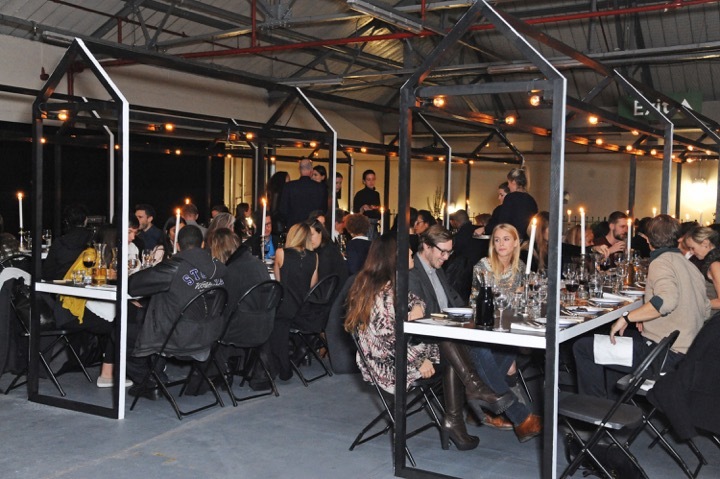 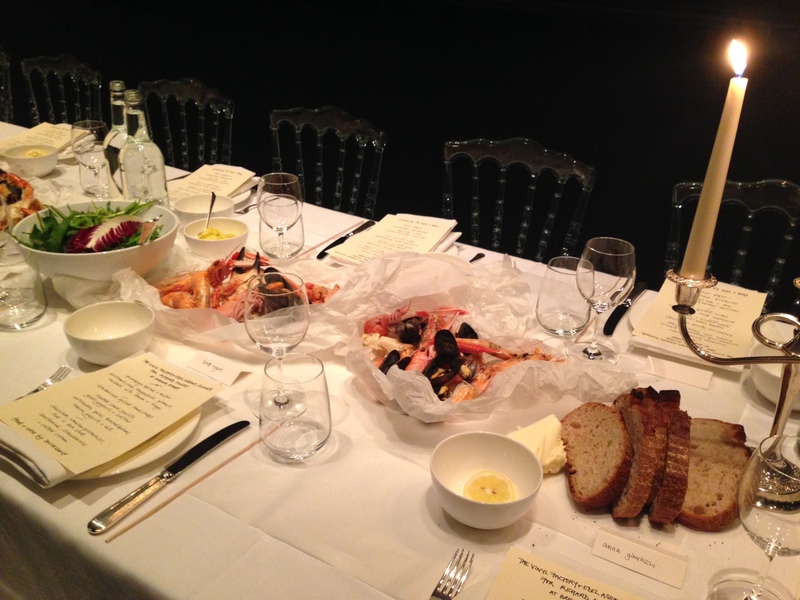 Conrad Shawcross presents his ADA Salon project in conjunction with the record label. 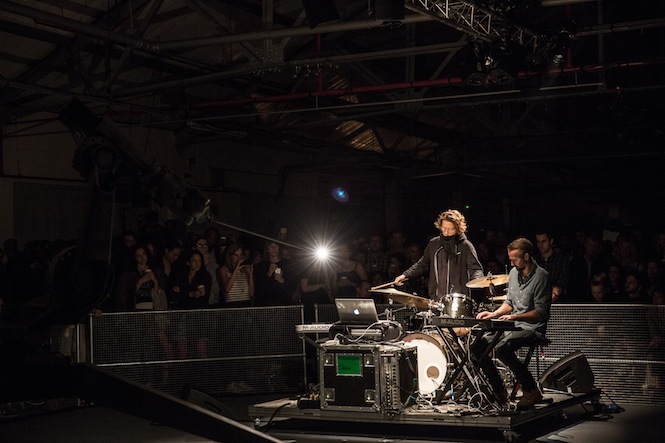 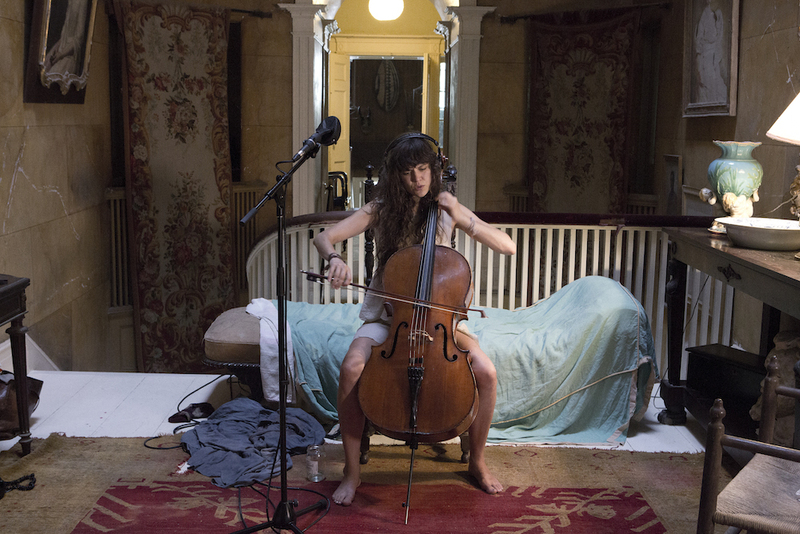 Four female musicians will perform to the movements of an industrial robot that has been hacked and programmed by Shawcross to create four different choreographies."